The hamlet of Ried built its chapel at a location more precisely described by its field name of Howeten. In the old Zermatt dialect, “Howeten” roughly means “inferior pasture land”. The chapel was built in 1693 – the year can be found over the entrance and on the ceiling – and is dedicated to St Lucia. The chapel is a small block structure with recessed choir and a brick bell tower in the form of a roof turret over the entrance. The bell that originally hung in the tower disappeared, and was replaced by a new one, cast in Aarau, during renovation in 1988. The tie beam that separates the modest choir from the nave shows the names of the builders: Stefan Biner, Hans Perren, Hans Zurniwen and Moritz Perren. Up until the 1950s, there would be a procession up to the chapel at Howeten on Whit Friday. 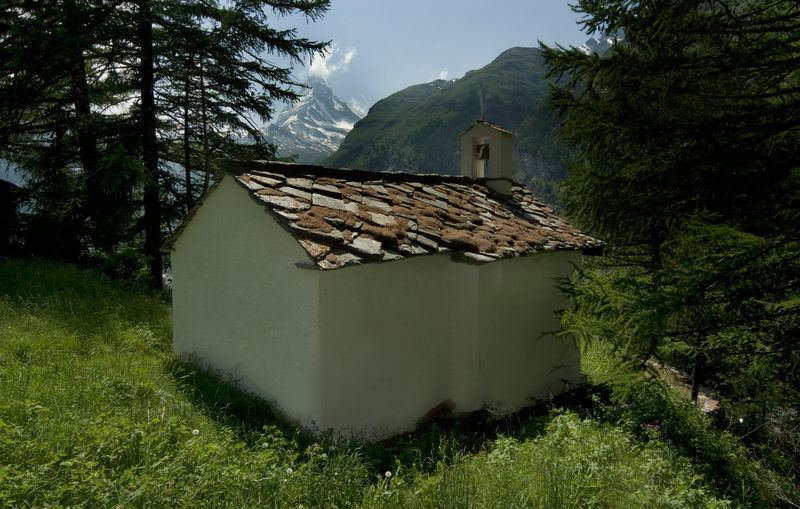 The custom dates back to a vow made by the inhabitants of Zermatt after some spirits were banished around 1667. This occasion was the first time that reference was made to a chapel here – apparently a predecessor of the existing building. 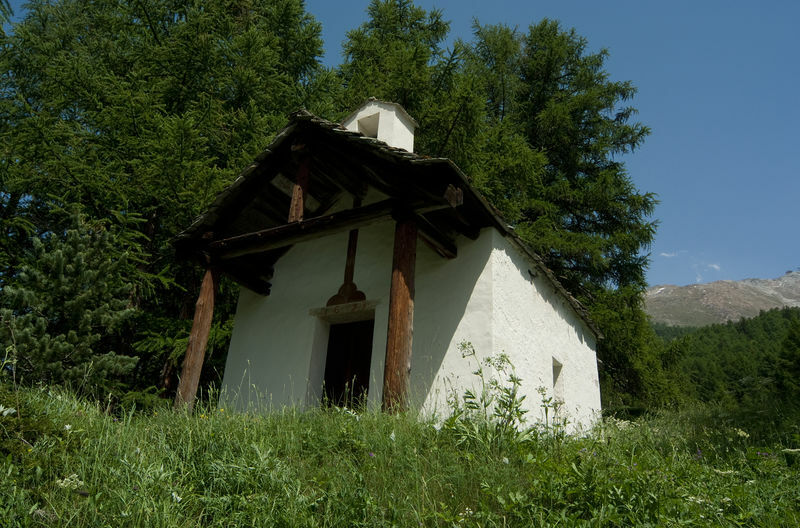 St Lucia, patron saint of the chapel, is not honoured anywhere else in the Upper Valais. 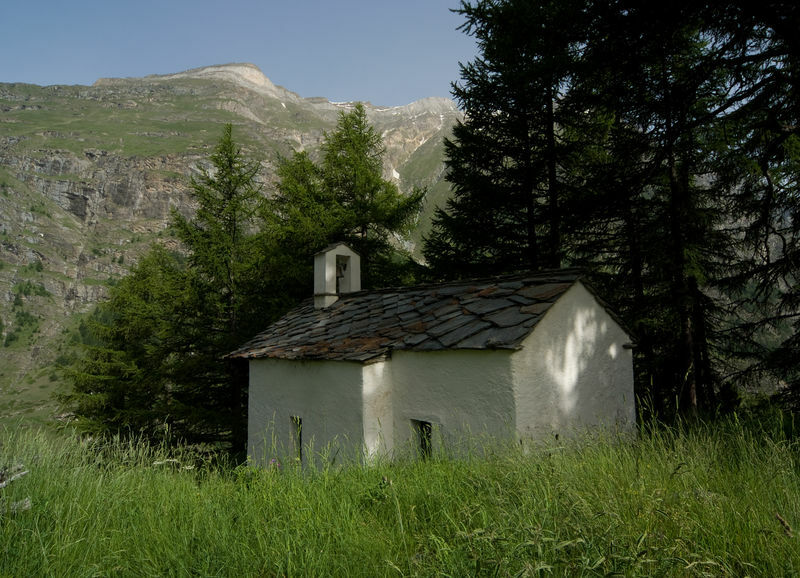 It is probable that the Capuchin Father Luzian Artho, the priest at the time, brought her veneration to Zermatt.